What’s one of the best things you can do in Bali? Relate this to my blog, my specialty, then it’s gonna be to spend a great time watching the sunset eating the frutti di mare in Jimbaran, Bali! 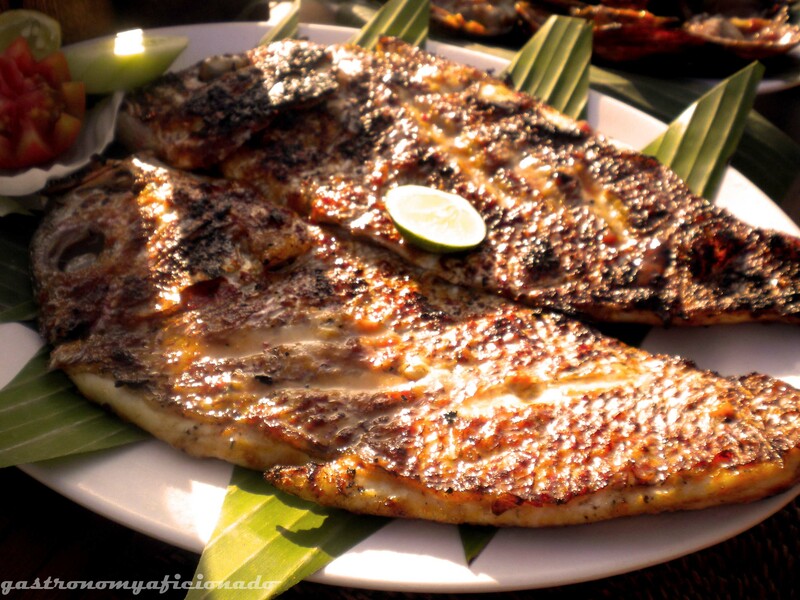 So we spend one afternoon going there, turning right after the main road to find the so-called seafood restaurants corner just behind the Four Seasons Hotel, Jimbaran. Park your car there and pick the place you wanna eat. My friends who had visited the place earlier recommended the Menega Cafe right away. So the next part was to select the food. 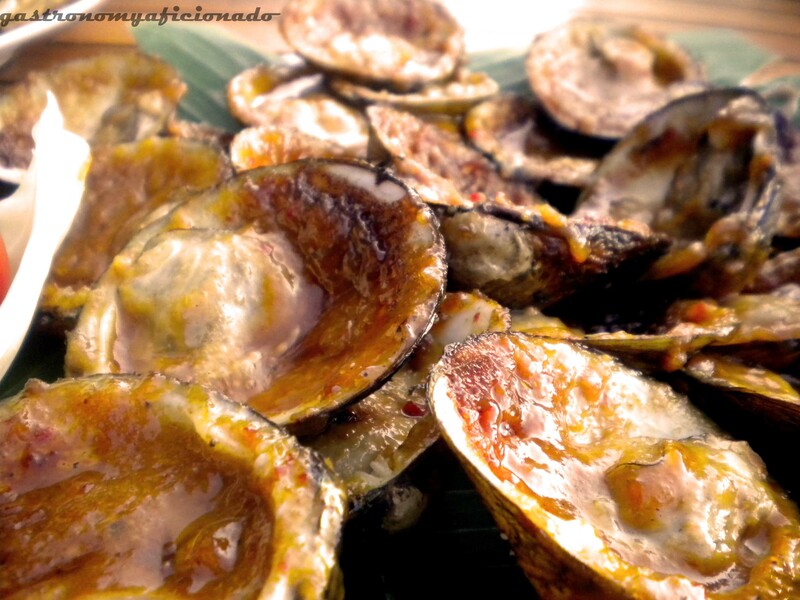 Fresh from the sea and from an unpolluted sea, that’s what seafood lovers expect of right? Anyway, as if anybody cares as long as it’s tasty! So among all lovely creatures offered, we (7 of us) chose 0.5 kgs of king prawns, 0.8 kgs of squids, 1.5 kgs of shellfishes, and 1.2 kgs of yellow crazy fish (darn.. I forgot the Indonesian word for it). Well, since it was still around 4 PM, we instructed them to serve the dishes around 5 PM. We played around the beach, got our feet drenched a bit, took many photographs, and spent a good time since it’s our first time together in Bali. It was our first day and we gonna move from beaches to beaches but that was one quite memorable. Meanwhile it’s closing to 5 PM yet there’s no sign of sunset at all! It was still bright and we should’ve asked them to serve it around 6 PM. Since we haven’t had our lunch, we tucked in greedily and said ‘Sunset? Whatever!’. Haha.. We had all of them grilled leaving only the squids fried. The dishes decorated beautifully and made us almost spilled the saliva to the ground. 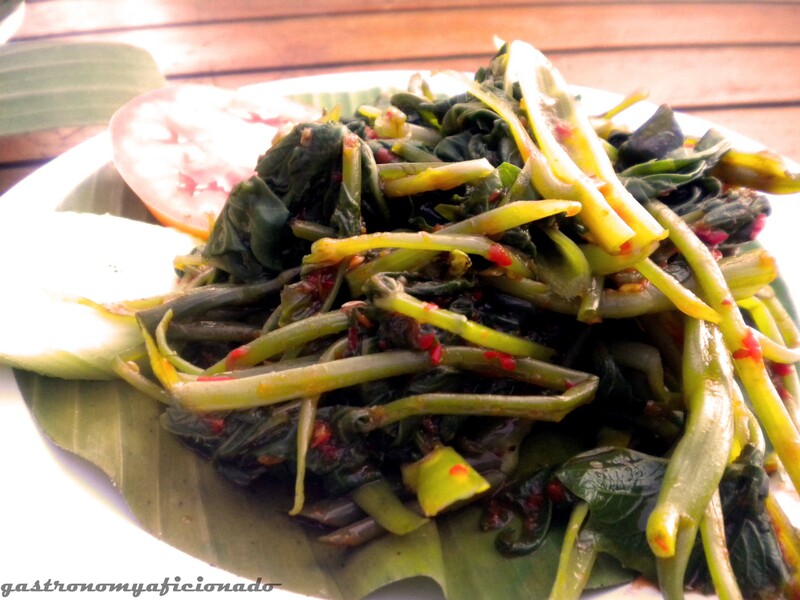 We’re also given several plates of kangkung plecing, a traditional Lombok dish (popularized by Balinese) made of kangkong or water spinach dipped in a special Indonesian sambal terasi or chilis mixed up with shrimp paste, served fresh. The best part was the shellfish, grilled with greasy butter that made them appears very intriguing and it was heavenly! The fish was good also, they divided it into two horizontal parts and removed the bones completely. 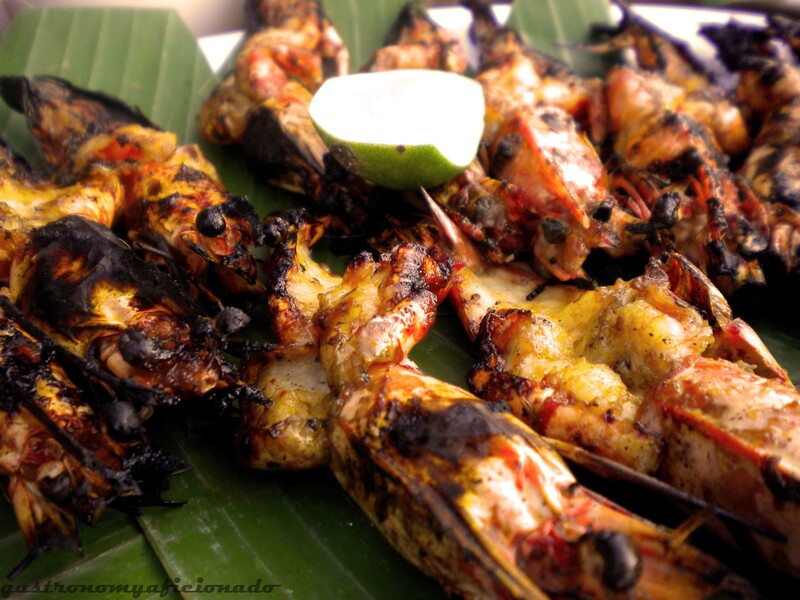 The grilled prawns were also delicious! But unfortunately, the fried calamaris were not that good, so it was up to me to finish it. LOL. Anyway, I recommend you to make it all grilled if you happen to visit the place. You can see the busyness of every restaurant there after 5 PM. They brought out the tables, chairs, plates, and every other dining utensils. The customers came out around before the sunset up until night, so that’s indeed the best time to dine there and certainly not in the afternoon though they open like all day long. 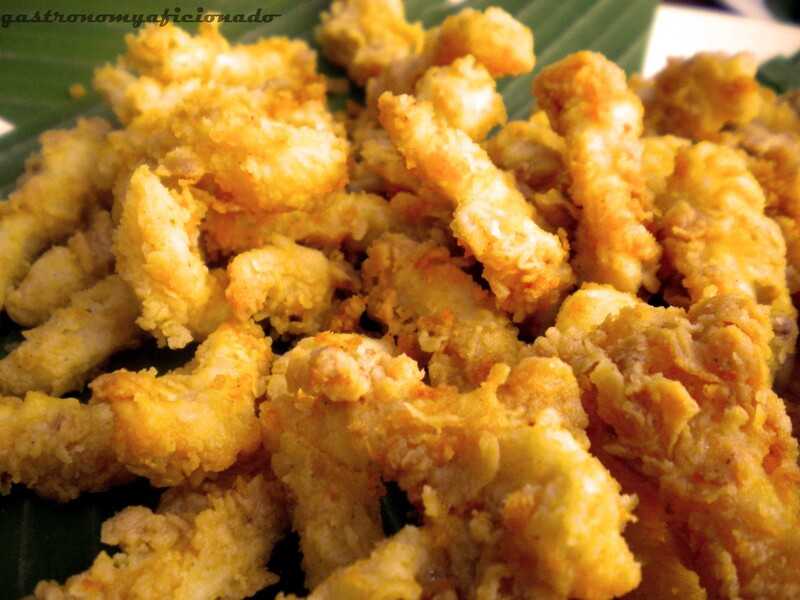 Dear Gastronomyaficionado, your post on Menega Cafe was awesome. 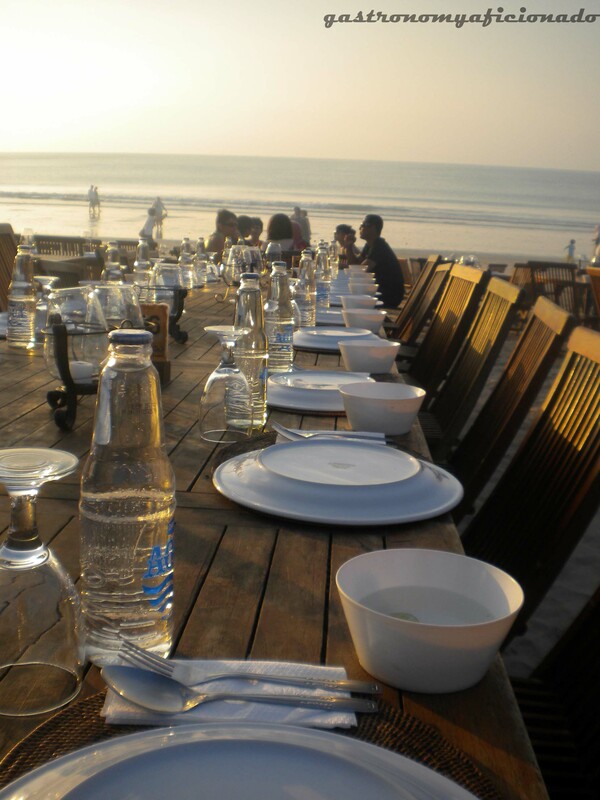 I have dreamed of visiting Bali, and getting to read your experience of a restaurant there was so much fun! OMG! Incredible presentation. Loved your site, very professional. Photos were crisp and clear. I shall be back for a bite of more. Thanks, Gaby. You really should visit Bali and I assure you, you’ll be enchanted. Anyway, it was a good place to visit and they do serve good food. Happy holiday! Four Seasons Jimbaran Bay,Bali, Indonesia, located on 35 acres of hillside garden terrace garden at the southern tip of the island, this unique resort is the perfect place to relax in total luxury. The rooms include a separate bedroom, bathroom and living pavilions with thatched roofs, and all include a private pool overlooking the Indian Ocean. The hotel has 147 independent villas divided into 20 villages, each with the head of his own people to provide personal service to all guests. The Four Seasons offers the most luxurious accommodations in exotic tropical paradise is Jimbaran Bay, while encapsulating the mystical spirit of this unique island. Hi Rian, love your review about Menega. I’m proposing this place for my client so allow me to use your photos for the proposal. No edit on pics, using your watermark as courtesy. Hi Endah. Thanks for coming by! Please feel free to do so and thank you for the credit!